The Lebanese militia is now deeply embroiled in the Syrian civil war, which has become part of a regional struggle between Saudi Arabia and Iran. On May 25, Hezbollah leader Sayyid Hassan Nasrallah confirmed what everyone in Lebanon and Syria knew: that the Shiite group’s fighters were deeply involved in the Syrian civil war, fighting alongside the army of Bashar al-Assad to regain territory lost to Syrian and foreign rebels. Nasrallah went further, committing Lebanon’s most powerful militia and political force to preserving Assad’s brutal rule. “We will continue on this road until the end, we will take responsibility and we will make all the sacrifices,” Nasrallah thundered, speaking via a broadcast link to a large rally of Hezbollah supporters. “We will be victorious.” Nasrallah’s speech was timed to coincide with the anniversary of Hezbollah’s greatest accomplishment: the withdrawal of Israeli troops from southern Lebanon in May 2000, after a grinding eighteen-year guerrilla war. 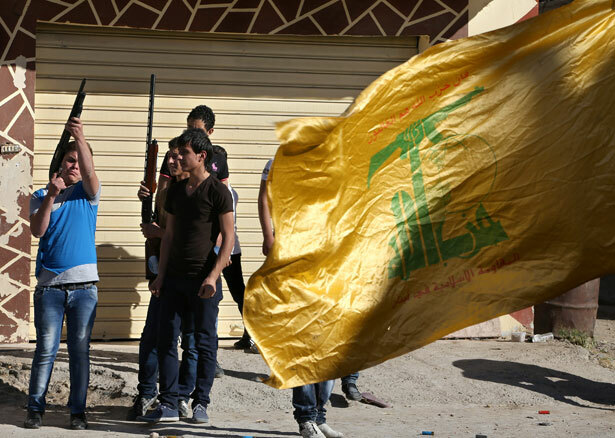 Nasrallah used that symbolic anniversary to invoke Hezbollah’s history of “resistance,” framing the battle in Syria as part of his group’s broader struggle with Israel. “Syria is the back of the resistance, and the resistance cannot stand, arms folded, while its back is broken,” he said. After the US invasion of Iraq in 2003, the traditional centers of power in the Arab world—Egypt, Saudi Arabia and other Gulf states—became nervous about the growing influence of Iran: its nuclear ambitions, its sway over the Iraqi government, its support for Hezbollah and Hamas, and its alliance with Syria. Hezbollah’s strong performance against a far superior Israeli military during their summer 2006 war electrified the Arab world, and it offered a stark contrast to Arab rulers appeasing the United States. Arab regimes feared that their Sunni populations would be seduced by a new and potent mixture of Arabism and Shiite identity—by Iran and Hezbollah’s message of empowering the dispossessed. When popular protests swept the Arab world in early 2011, Assad was confident that he had nothing to fear because he had continued his father’s foreign policy: he did not depend on US tutelage like the leaders of Tunisia, Egypt, Bahrain and Yemen. Assad and his allies in the “axis of resistance” boasted that they were the true representatives of the majority of people in the Arab and Muslim worlds, who for decades had been stifled under regimes that “sold out” to the United States. But soon after the peaceful demonstrations in Syria turned violent in response to Assad’s ruthless crackdown, the leader of the “axis of accommodation,” Saudi Arabia, began sending money and weapons to the rebels. The Syrian uprising did not start out as a sectarian battle, but it quickly took on religious dimensions and descended into civil war. The conflict is now part of a larger struggle between Saudi Arabia and Iran, both of whom increasingly see their rivalry as a winner-take-all conflict: if Hezbollah gains an upper hand in Lebanon, then the Sunnis of Lebanon—and by extension, their Saudi patrons—lose a round to Iran. If a Shiite-led government solidifies its control of Iraq, then Iran will have won another round. So the House of Saud rushes to shore up its allies in Bahrain, Yemen, Syria and wherever else it fears Iran’s nefarious influence. While Saudi Arabia and Qatar arm the Syrian rebels, the Iranian regime—and to a lesser extent, Russia—are providing the weapons and funding to prop up Assad. With so many powers playing out their proxy battles in Syria, the region is facing a conflagration worse than the one that accompanied the civil war in Iraq. The United Nations estimates that 80,000 have died so far, most of them at the hands of the Assad regime. Both sides are engaged in new levels of brutality, including the possible use of chemical weapons. “There is a human cost to the increased availability of weapons,” a UN independent commission reported on June 4. “Transfers of arms heighten the risk of violations, leading to more civilian deaths and injuries.” The first steps toward reducing the bloodshed are to stop the flow of weapons to both sides, restart negotiations and convince foreign powers to stop meddling in Syria. As the commission noted: “A diplomatic surge is the only path to a political settlement.” Unfortunately, that most rational prospect seems the most out of reach. In May, the editors of The Nation strongly cautioned the Obama administration to refrain from arming Syrian rebels.